For more than 27 years, Dr. Azin Kolahi has been providing patient-focused expert dental care in Los Angeles County. Now practicing at Warner Plaza Dental Group in Woodland Hills, California, Dr. Kolahi offers a wide range of dental services including Invisalign®, dental implants, veneers, root canals, wisdom teeth extraction, teeth whitening, and Botox®. As a general dentist with more than 25 years of experience with children, she has developed a personalized and unique approach to the treatment and care of children with autism and special needs. Her warm and personalized approach helps your children feel comfortable and confident while in the dental chair. 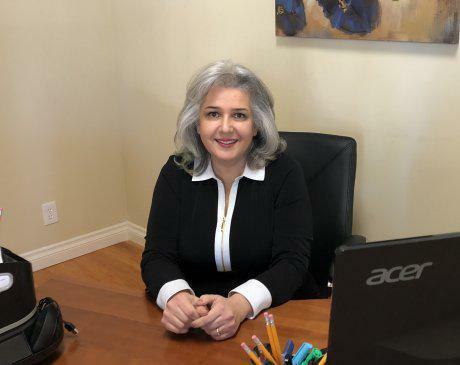 After completing her undergraduate degree in biology at the University of Southern California, Dr. Kolahi went on to earn her doctorate of dental medicine at Boston University. She’s dedicated to providing dental care to her community and donates more than $20,000 worth of dental services each year. Dr. Kolahi helps you improve your overall dental health with highly customized dental care, delivered with a sincere personal touch. You’ll benefit from her expertise and feel comfortable in her welcoming practice, knowing that she is focused on your comfort and satisfaction.